Background and Objective: No complete review of the cutaneous manifestations of eating disorders exists. We therefore, set out to review and systematically describe the clinical and histopathologic features of dermatologic conditions associated with anorexia nervosa, bulimia nervosa, and obesity. Differential diagnosis, pathophysiology, laboratory studies, and treatment are also reviewed. Methods: Index Medicus review (1966 to present) using Ovid-MEDLINE. Search terms included eating disorders, anorexia nervosa, bulimia nervosa, eating disorders not otherwise specified (ED-NOS), and obesity, as well as the terms dermatology skin and cutaneous manifestations, with cross-referencing sources. These were combined with our own clinical experience. 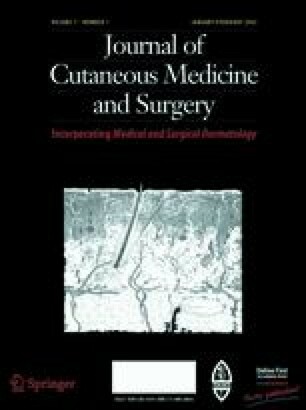 All relevant publications, including case reports, case series, cohort studies, and histopathologic studies giving at least Level II-3 evidence (evidence from comparisons between times or places with or without the intervention, including dramatic results in uncontrolled experiments), were selected. Conclusions: Forty dermatological signs have been reported in eating disorder patients. Eating disorders have many cutaneous manifestations and cutaneous signs may lead to the diagnosis of an occult eating disorder. The resolution of skin eruptions in eating disorder patients often depends on treatment of the underlying disorder.